There has been a tremendous increase in cyber-crimes lately. Anyone can become a target of it without even realizing it. It is important to learn about it. Cybersecurity is the protection of internet-connected systems, including hardware, software and data from cyberattacks. So, the Society for Character Building decided to start its first seminar with a strong topic that has become a need for today’s generation. The guest speaker was Mr. Muhammad Aleem Awan, who also happens to be an alumnus of Punjab University, Gujranwala Campus (PUGC). He truly is an expert of his field. The chief guest was Hafiz Imran Akram, head of commerce department. 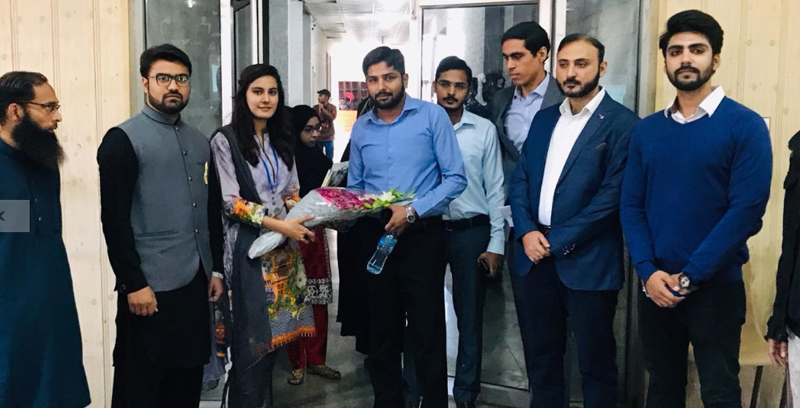 In welcome speech chairman, Society for Character Building, Dr Ghulam Mustafa welcomed Guest Speaker, Chief Guest, Faculty Members and Students. He told the audience that this is a first seminar conducted by the society for character building. He was looking forward to organize many more informative seminars that are going to be conducted by this society. He also appreciated the vision of Dr Salman Rizavi, Director General, PUGC for establishing this society to polish moral characteristics in the students besides technical knowledge. All of this wouldn’t have been possible without the support that was given by Director General, Punjab University, Gujranwala Campus. 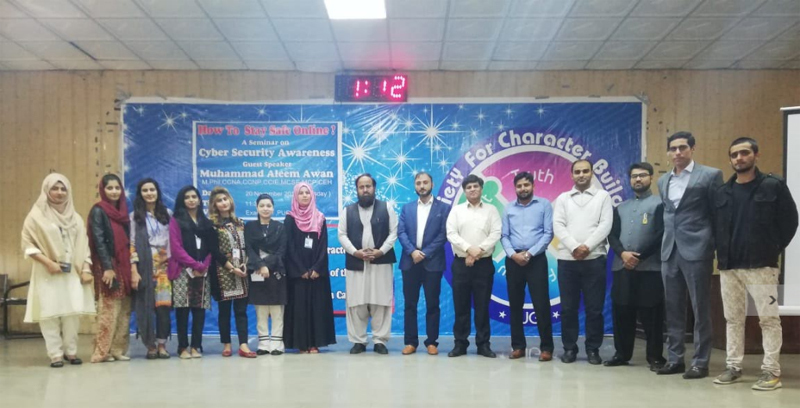 After that Mr. Muhammad Aleem Awan was invited on stage to deliver his speech on the topic of Cyber Security Awareness. He explained everything that we needed to know about cyber security. He explained every detail about how we can avoid being hacked or tricked by hackers. Furthermore, he told some very useful techniques to the audience to protect their mobile phones and laptops. He also informed the audience about how can we file a complaint in the cybercrime cell. The safety of credit cards and debit cards was also discussed. He urged us to focus on the daily mistakes we casually make that can lead us to being hacked, while using Facebook or Instagram or any other social site. A question answer session was also held at the end of his speech. The chief guest in his speech appreciated society’s effort and also gave recommendations for future events. The guest speaker Mr. Muhammad Aleem Awan was presented a shield on the behalf of Director General, PUGC, by Hafiz Imran Akram. The seminar was conducted on 20th November,2018, in the exam hall of PUGC.